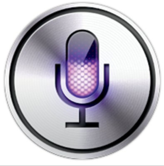 One of the fastest growing ways to search the internet for information is by voice search. It’s becoming more and more popular every day as a way to find information as it’s incredibly convenient, speedy, and easy to do while you’re on the move. As the software that powers our favourite voice search services improves, it becomes even more intuitive and reliable. Knowing this, marketers are working hard to figure out how to make sure that their SEO is optimized for voice search. While in the past they could rely on traditional searches for users to find them, with voice searches becoming so popular, it’s imperative that they adjust their SEO strategy so they will gain traffic and make more sales from voice searches. For years, companies have optimized their SEO for searches that are being performed by being typed out. Now, however, that’s all changing, as people usually type differently than they speak. In order to benefit from voice searches, companies have to make sure that their SEO will understand and pick up the natural speech patterns that people use when voice searching. 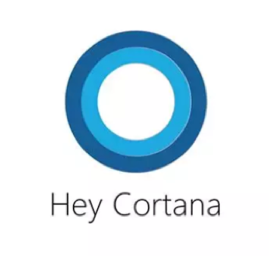 Voice search software such as Cortana and Siri is rapidly improving and allowing these search engines to link to exactly what users are looking for. Marketers who want to tap into voice search and the power that it has to drive traffic to their websites and their companies need to make sure that they are also improving to be able to keep up. While there are a number of different ways to improve voice search SEO, one of the most popular is to use online tools like Rank Tracker. Tools such as this allow users to enter keywords in addition to wildcards that will help the search engine better understand what language fits with the natural patterns that voice searches have. It’s also important to make sure that companies and marketers include natural speech in their online content so that it can help boost search ratings. Traditionally, most conversational tones are a better option when trying to get traffic from voice searches. While short-tail keywords were at one time very relevant and provided the best way to show up in search results, people do not tend to use them when searching via voice search. They are much more likely to use long-tail keywords that occur naturally in conversation. In addition, these searches are often much more detailed than ones that are performed traditionally on a computer, as users are closer to making a purchase and will ask for specific details. Changing to long-term keywords isn’t enough. 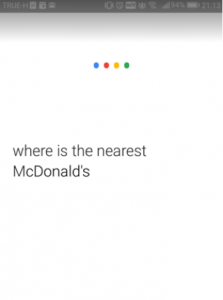 In order to be relevant to the growing number of people using voice search, marketers need to make sure that the keywords they use are very detailed and do a great job describing the product or service that they provide. Proper sentences and phrases are important, as this is how people will be searching with voice search. While most companies have already embraced the idea that their web page needs to be mobile-friendly in order to rank in a mobile search, not all of them have taken the time to make sure that their sites are fully optimized. This means getting rid of any Flash on the site and compressing images to make sure they load quickly. People who use voice search are generally busy and on the go and want to find information quickly, and therefore won’t scroll through a list of websites just to find the right one. It’s important that your web page is at the top of the list when someone performs a search. Making sure to take Google’s test to see if your site is mobile-friendly is important, and performing follow-up is imperative. As searches change, it’s important that companies are willing to change as well. Getting ahead and staying ahead of the competition is very important, and companies have to be willing to embrace voice search and update their SEO to ensure that they stay relevant. When companies take the time to make sure that they will appear in the top search results of voice searches, then they won’t have to worry about their competition stealing the top spot and getting the sale. Check your page with the Mobile Friendly Test from Google here. If you’re looking for some advice on how to best optimize your website for SEO, get in touch with a Digital Marketing consultant at Phoenix Media today, call 02 038 5400, or send us an enquiry here.